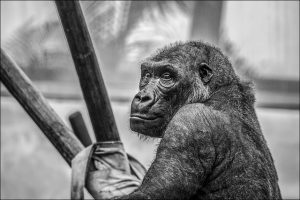 Humans and other primate species provide an opportunity to investigate the evolution of traits that are unique to humans as a species as well as to learn more about the evolution of transcriptional regulation in general. Our lab works on traits of anthropological and medical interest including diet and cognition. To do so we leverage cell culture models including iPSCs, primate tissue samples, and a variety of functional genomics techniques. The goal of these projects is to understand the genetic and molecular basis for the evolution of phenotypic differences between humans and our closest living relatives. Our cell culture models allow us to perform experimental manipulation to study the relative contribution of genetic, epigenetic and environmental changes on gene expression and on cellular phenotypes. We are also interested in the evolution of transcriptional regulation more broadly. Primates are an excellent model to study given the abundance of genomic, functional genomic, and phenotypic data available. To this end, we are developing and improving computational methods to detect natural selection on regulatory elements combined with comparative genomic methods to measure divergent enhancer activity and identify causal genetic divergence of differential enhancer function. Photos courtesy of Beth Raff, Ph.D.
Marine invertebrates have evolved an enormous diversity of larval forms and life history modes. These adaptations in nutrition, dispersal, and defense can evolve between even closely related species. A well-studied example is the sea urchin genus Heliocidaris: H. tuberculata produces a large number of small, energy-poor eggs that develop into feeding larvae, while H. erythrogramma produces fewer, energy-rich eggs that develop into nonfeeding larvae. This shift from feeding to nonfeeding larvae has evolved more than 20 times in echinoderms and is thought to be an adaptation to environments where phytoplankton is an unreliable food source for larvae. Our analyses of transcriptomes, proteomes, and metabolomes of the two Heliocidaris species reveal important differences in developmental physiology. The energy stores used to power embryonic development shift from triacylglycerides and yolk proteins to glycosaminoglycans, while an increase in diacylglycerol ethers appears to be an adaptation for increased survival after metamorphosis. The species with nonfeeding development also develops much faster to metamorphosis, with many changes in the expression profiles of key developmental regulatory genes. The developmental gene regulatory network of sea urchins has been studied in detail, providing a powerful framework for interpreting these evolutionary changes. By experimentally manipulating the expression of specific genes, we show that some retain their ancestral developmental functions, although often with a shift in timing. We also find that the function of other genes has changed, likely contributing to faster pre-metamorphic development and altered larval morphology. Finally, analyses of embryonic transcriptomes from hybrids and both parental species reveal that many of the observed evolutionary changes in gene expression are the result of mutations in cis-regulatory elements. Together, these findings demonstrate that the evolution of nonfeeding larvae involved modifications in the expression and function of many different genes that collectively produced major changes in physiology and developmental mechanisms. Plasmodium vivax is the most widely distributed form of human malaria, with over 13M cases globally. The evolutionary origins of this parasite are not well understood, because it has long been thought that it was eliminated from its place of origin in sub-Saharan Africa. 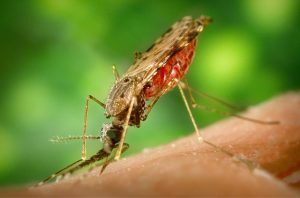 The recent discovery of low levels of vivax malaria in central Africa by our collaborators Jon Juliano and Steve Meshnick at UNC opens the door for the first time to studying this ancestral population. The goal of this projects are to reconstruct the “out of Africa” co-migration of this important human parasite as it spread throught the tropics globally. A second project, in collaboration with Steve Haase, is examining gene expression during the erythrocytic cycle in P. vivax. Because P. vivax cannot be cultured long-term, these studies are based on blood draws from patients. The goal of this project is to understand how genetic variation in parasite populations influences gene expression.